"Everyone on the starting line (at the Olympics) dreamed of winning, but only one won – but this is not important – the journey was what was important. Dream big, but let your dreams inspire how you live today. Dreams should not be about the end goal, but rather about day to day living." - American marathon star Ryan Hall, speaking to a high school writer prior to his recent 15km run in Florida. We saved the quote for the unveiling of the site as it talks about living the dream. Felnage, Kipyego, or Bowman in the mile??? *Men's Field - It's official; German Fernandez is skipping the meet. 18 teams in men's DMR causes havoc as in most events only 14 men got in compared to 17 in most women's. Trackshark.com May Be Shut Down Due Lack Of Support From Wasserman Media All we can say is we're fortunate we didn't sell to them when they tried to buy us last year. 1. Fantastic Read: Brief Chat With OK St. Coach Dave Smith Find out what German Fernandez will be up to in the coming months and get the skinny on the locker room talk about the LetsRun.com Ryan Gregson vs. Fernandez debate. 2. Insanity: 15-Year-Old Jamaican Boy Man Runs 10.42 While Reigning World Junior 100m Champ Doesn't Even Qualify For Final With 10.75! 3. Full Text Of Doug Logan's Project 30 Response Logan is charging full steam ahead with changes in USATF. 4. Victor Conte Says Chambers' Mgmt. Team Mailed Him $10,000+ Check For Drugs In 2002 The question is, did managaer John Regis know his client was on an elaborate doping regimen? 6. Ryan Hall Talks About Enjoying Olympic "Failure"
Steph Twell Easily Wins Low Key Meet Great Britain XC Trials We started off the week by upsetting our friends in the UK. Doug Logan Officially Reacts To Project 30's 69-Page Report & Proposes Paying Athletes $15,000 For PBs At Olympics The new USATF head is horrified only 13.7% got PBs in Beijing. We're horrified that USATF basically pays athletes almost zero currently. 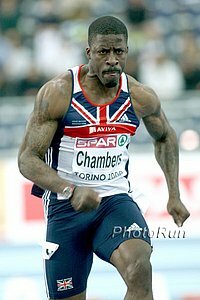 *Van Commenee Gives Dwain Chambers The Boot From GB Berlin 4x100m Team Way too early to be focused on 2012 in our minds. *Athletics Weekly Euro Day 3 Recaps Informative recap. *Van Commenee Not Impressed With GB Medal Tally In Torino Russia wins 10 golds to UK's 2. We know one of the UK's golds is tainted by a former drug user, the question is how many of Russia's 18 medals are tainted? *Targeting London 2012 Otherwise "I wouldn't have had this surgery." *Rwandan Distance Runners Bail On Amman To Collect Paydays If the US economy is in the tank, we're guessing Rwanda's ain't too rosy..
*Irish Sport Mired In "Turf Wars"
*Bayer: "Right now I cannot tell you how I managed to jump that far." *Women's Recap Mariya Savinova got a surprise world lead of 1:58.10 in the 800m as Turkey's Anna Alminova got the win in the women's 3k as former Providence star Mary Cullen got the bronze. In the HJ, Vlasic lost another big meet as he 42 meet streak of 2.0 meters came to an end. 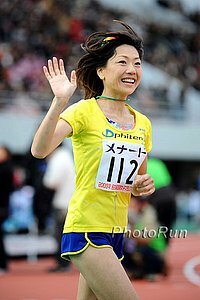 *UK Chief Van Commenee Rues Missed Medal Targets Britain only got 4 medals thanks in part to Marilyn Okoro's "naive" run in the 800. We say going out in 56 isn't naive; it's idiotic. *Arkansas Last Chance Meet Ryan Vail 7:52 3k!